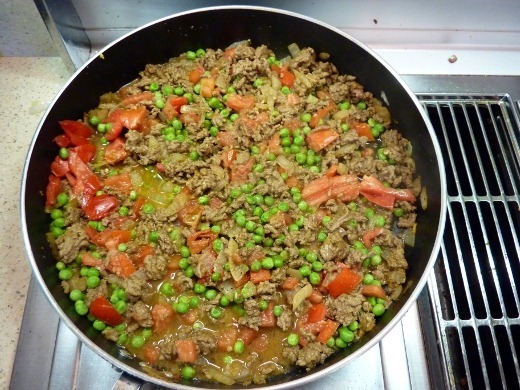 On Monday, I tried one of Aarti Sequeira’s recipes for one of her childhood favorites: Kheema! (Recipe from The Food Network website). Then I added beef. 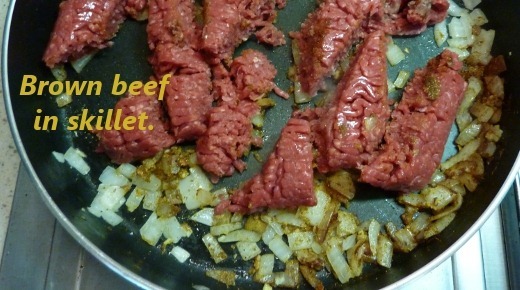 The recipe isn’t designed for draining the beef (if you do, you’ll lose much of the spice goodness! ), so I was glad that I bought extra lean ground beef (96/4). Once the beef was cooked through, I added in 5-6 of those chopped garden-fresh tomatoes(! 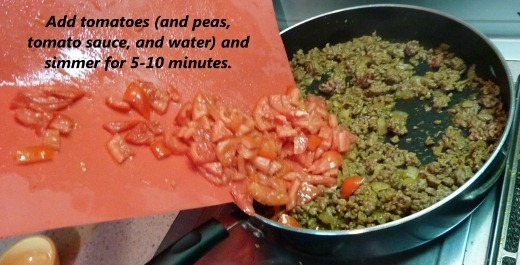 ), along with frozen peas, water, and tomato sauce, and let the mixture simmer for about 5 minutes, covered. The delicious “juice” made a mess on this plate, but I was in a hurry to photograph, so I didn’t bother to take the time to re-plate it! 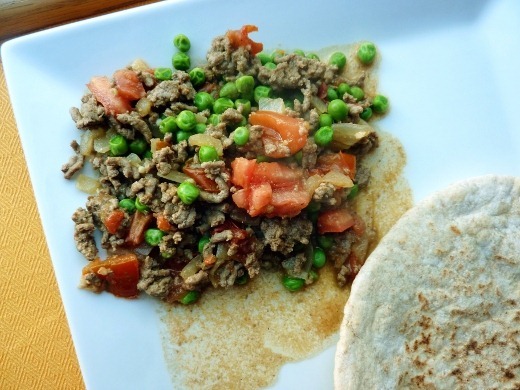 Serve this dish with pita bread. I loved dipping up the sauce with the pita! This dish was great! I thought the flavors were awesome – so warm and… exotic? 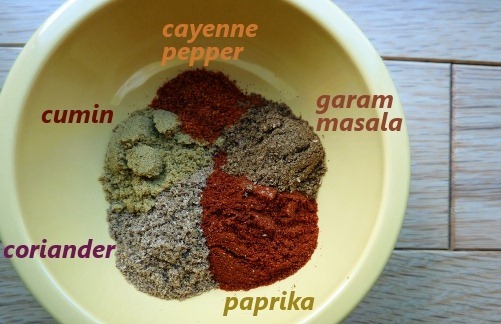 Very comforting, almost like an Indian version of Hamburger Helper (minus all the freaky powdered ingredients). Remember you can find the Kheema recipe over at the Food Network. After dinner, I brushed my teeth, mouthwashed, spritzed with perfume, and changed my clothes, before heading out for Martini Monday at Café Felix, and, immediately upon entering the car, was told that I smell like curry. What gives!? Be warned: this dish is potent, kids! Currently listening to: Yoü And I – Lady Gaga. 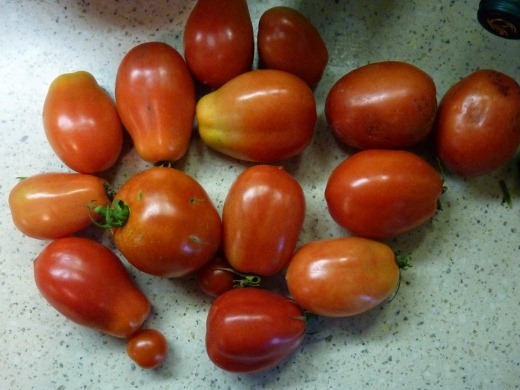 Pingback: Meal Planning for Week of August 18-24 « Meg.Goes.Nom.Nom.